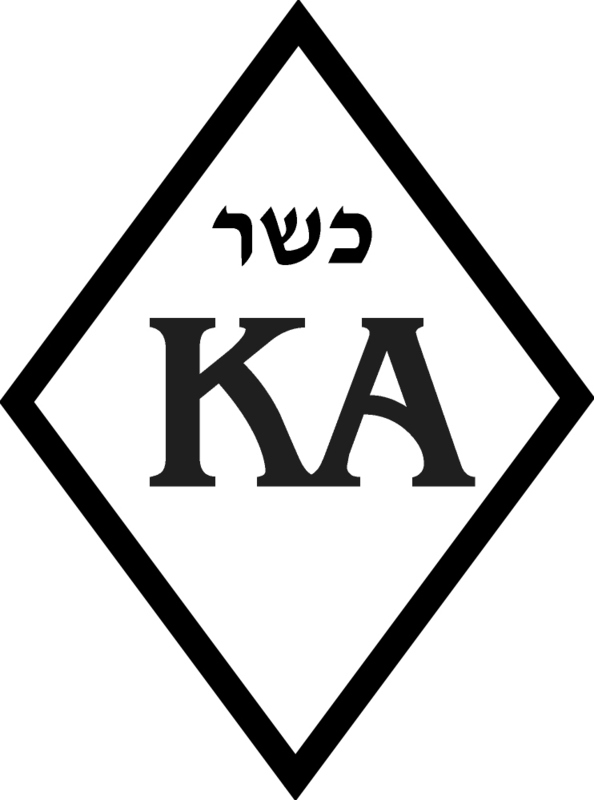 In kosher restaurants someone has approved the food. Why not the service? Nothing can dismantle my sense – or illusion? – of spiritual progress faster than eating at glatt kosher restaurants. In recent weeks I’ve been to three. Two in Montreal, where I visited an elderly Hassidic relative, and one in San Francisco, where I had dinner with my oldest, modern Orthodox nephew. Because strictly observant Jews cannot eat in non-kosher restaurants, these eateries have a captive audience and little incentive to improve. Adding insult to the injury of spotty if not poor service are high prices, thanks to the cost of kosher food and of hiring a mashgiach, someone who supervises the kashrut status of a restaurant. I’ve never kept strictly kosher, but that doesn’t mean I’m indifferent to what, where and how I eat. Pursuing excellence and paying attention to detail are ways to sanctify, honor and elevate food and other experiences. Aesthetics and ambience resonate more deeply with me than kosher certification. Seamless service, like cleanliness, is next to godliness. I’ve learned to prepare myself for visits to kosher eateries by attempting to check my expectations, ideals and desires at the door. These attempts tend to collapse partway through the experience. Oy! A day after flying to California for my Feldenkrais Training, my nephew picked me up before 6pm to drive us to dinner. We discussed whether to go to a kosher vegetarian Chinese restaurant (a short distance) or the only kosher meat restaurant (further away). Since I now eat meat, and kosher meat is not easy to find, we drove to China Town and climbed stairs to the small, second floor establishment. When we arrived, a family of four perused menus while squeezed into the waiting area. “It’s a long wait,” the mother said, her voice and visage drooping. Their accents — British or Australian? — hinted that they had traveled far. Disappointment began its slow, steady drip into my system. We stepped inside the restaurant, crowded with religious couples and families, and saw a table for two, empty but not yet cleared toward the back. An employee, a thin gray haired man with downcast eyes and a baggy red polo shirt hanging off his hunched shoulders, mumbled that he was by himself. It was going to be a while. We paused in the doorway and I looked at what others were eating. A few had plates filled with grilled meat, french fries, and a salad of tomato, cucumber and sliced purple cabbage, simple but probably good. I took a mental snapshot. Rather than hover in the stuffy space, we walked around China Town. When we returned, a good 20 minutes later, the red shirted employee stood on the sidewalk, cheeks sunken as he sucked on a cigarette. “That does not bode well,” I said, imagining the chaos upstairs if the only employee had left. “The guy’s probably having a bad day,” said my nephew, who doesn’t need to meditate to be compassionate. We ascended the stairs, again. After a few minutes a woman in her 50s, who had not been there earlier, seated us at the table we had spotted almost half an hour before. “If it’s like the last time I was here, it’s probably going to be a while before we get menus, and then it will be a while before the food comes,” said my nephew, prepping me as if he were a tour guide in kosherlandia. I tried to set my expectation dial back to zero and focus on what was happening rather than what I believed should be happening, or what I wanted to happen, an effort requiring Jedi-level focus. His confession dissipated the tension. He took their orders, retrieved their menus, stood and turned to head to the kitchen. He didn’t notice that we, the hungry and menu-less, sat nearby. By then it was almost an hour since we initially arrived. With my body still on East Coast time, I was fatigued and eager to eat. “Let’s get those menus,” I said to my nephew. We managed to redirect the man’s attention. “Here you are,” he said, his tone and face visibly lighter. Perhaps the cigarette had helped. Perhaps the evening would proceed smoothly? My optimism expanded when a young woman, maybe in her late 20s, with a long pony tail, an ankle length skirt and pink t-shirt, showed up to take our order sooner than I had anticipated. I told her I’d like a single lamb shishlik (kebab) with french fries; the menu said it came with table pickles, fresh green salad, and cabbage salad. She didn’t seem completely at ease. Had the cook secured last minute help while we were walking? Was it his daughter? Who knew? I wondered if I’d get what I ordered. I tried to pretend that we were in an Improv show, with walk on characters and an unpredictable plot. In Improv, the rule is to say, “Yes, and” when a scene partner offers a line to keep the action going, no matter how ridiculous it sounds. But I struggled to find a wholehearted “Yes” to the commotion, uncertainty and need to jockey for menus, all draining distractions from enjoying an extremely rare one-on-one conversation with my nephew, whom I had not seen in more than a year. Even he, extraordinarily good natured, was subtly losing some patience. “It’s a Sunday night. Haven’t they figured out staffing?” he asked, stating the elusive obvious. My nephew’s dinner, a hamburger platter, arrived first, the plate plunked on the table. Mine came later, minus the purple cabbage, making the meal look pale and insubstantial. Had they run out of it or forgotten? It’s not that I love raw purple cabbage, nor is it a rare delicacy, but its absence irked me. The missing cabbage temporarily distracted me from the more critical missing item: utensils. After a few minutes, the older woman handed us two knives and two forks wrapped in what turned out to be a solitary napkin. I tried to ignore the restaurant critic in my brain that was cataloguing, in permanent marker, every single deviation from what was supposed to happen. When many things go awry, it can be painful to draw attention to each one and try to make them right. As my late father used to say, “Don’t sweat the small stuff.” Then, he’d say, “and everything is small stuff.” I didn’t always agree with the latter. But the napkin and the cabbage? Small stuff. I offered to tear the napkin in half but my nephew let me have it. However, when I saw pickles appearing on other tables, but not ours, something snapped. Against mounting irritation, I struggled to keep calm and ask for the pickles. “Oh! The pickles!” said the older woman, her cheerful smile doubling as a beacon amidst the balagan and a shield against irascible clientele. She whirled around and returned with a small plate of cut up sour pickles, unremarkable in appearance, average in flavor. Now, I’ve been to restaurants where the arrival of scrumptious food can compensate for, if not eradicate the memory of, a long wait. Alas, not the case here. With the knife I removed small lumps of lamb, one mostly gristle, from the skewer. They were minuscule, unlike those in a succulent (non-kosher) kebab sold by a Russian grocery in the city. While “comparison is the thief of joy”, my puny kosher kebab did not appear to have been created or presented with any joy, so there was none to steal. That’s what breaks my heart and crushes my soul about kashrut, at least in the United States: food is certified but the experience of the person eating it does not seem to be considered as consistently, if at all. Couldn’t there be a mashgiach for the front of the house, attending to the finer points of dining? More people entered the restaurant, filling the small space with a large buzz. I leaned forward and tilted my head as I struggled to hear my nephew. Among other things, he shared that someone just said that the kitchen had run out of french fries, sending a wave of disappointment over a table of diners, a wave I couldn’t help but feel, too, as if we were all lashed together on the same life raft. Meanwhile, purple cabbage appeared on plates whisked to other tables. I tried not to take my cabbage-less meal personally. Next, a well dressed woman, seated with three others, barked to get the red shirted man’s attention. Her sharp tone pierced the air like a knife. The irritation on her face made me turn away. She hadn’t discovered that to get food in that place one had to console the waiter who — hadn’t you heard? — had been having a terrible day. In hindsight, perhaps everyone should have stood and applauded the poor fellow and offered to help serve. Even though I was no longer hungry, I devoured every single lukewarm and limp french fry on my plate, a symptom of “Post Traumatic Fress Disorder”. Years of meditation and mindfulness practice had temporarily vanished, depositing me back at square one, eating unconsciously to avoid feeling trapped in a scenario that negates my values, overwhelms my senses or in which I feel invisible. By then, my introvert energy tank had emptied and I ran on fumes. “Will they bring the check or do we pay up front?” I asked my nephew. He didn’t recall exactly, but generously offered to take care of the bill. I thanked him and accepted. He walked to the front of the house and talked with the red shirted man, their heads bent over a piece of paper. Since he’s a mensch, my nephew probably left a tip. I doubt I would have found it in me to do the same, which means I probably need to double if not triple my daily dose of meditation before visiting such a place again. Who knows, perhaps the impossible will become possible and, one day, I’ll be a grinning, rather than a grimacing, Bu-Jew in the balagan. ach, I can totally identify! Thanks for reading! Bummed that you have had a similar experience. May that *not* be so!